To keep your property looking tip-top, you need the right equipment for the job. 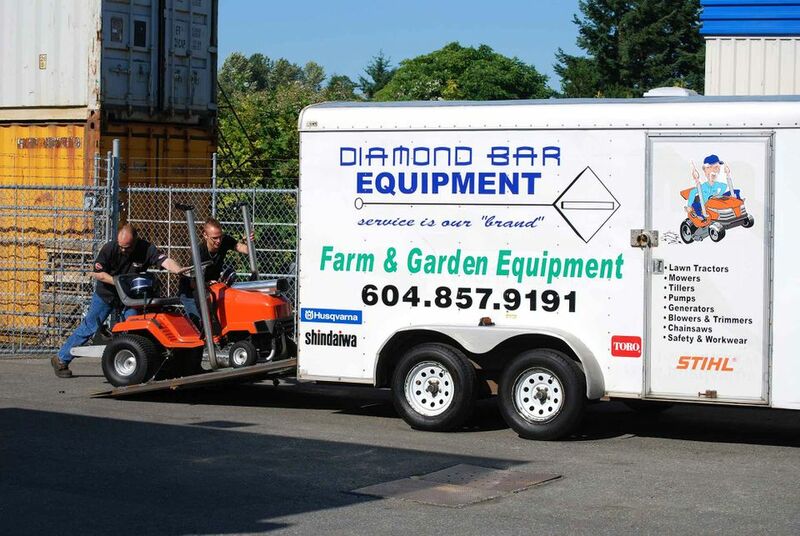 At Diamond Bar Equipment, we want to help you find the right equipment for your particular job, not just a mower or blower that will be adequate. Come see us for a consultation on your needs and let us help you find the best solution! We service what we sell and give priority to our repeat customers. Let us know what you’re looking for, and we’ll look through our inventory of leading brands to get you the right products for the job! We’re near the Aldergrove Legion, with plenty of free parking and wheelchair access. When you’re here, you’re family, so come see all that Diamond Bar Equipment has to offer you and our Aldergrove community. To all our loyal customers, THANK YOU for a great year. From our family to yours, Merry Christmas and a healthy, happy and prosperous New Year! We will look forward to serving you again in 2019!